Distributing agreement in Georgia - CHINA ZHONGNENG VEHICLE GROUP CO.,LTD. In January 20, 2019, ZNEN successfully signed distributing agreement with LTD "BRANO" ID:405220728 (ADDRESS: ANNA POLITKOVSKAIA STR. 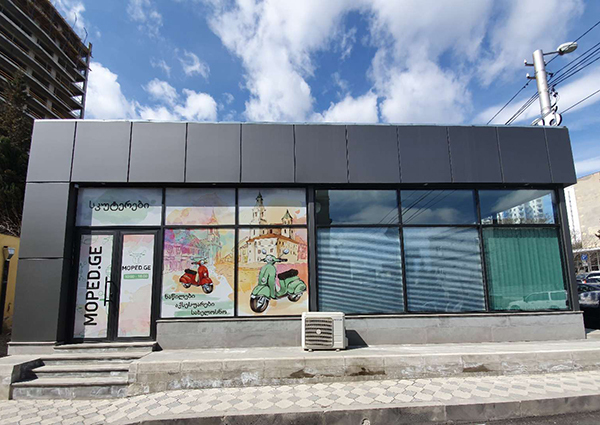 10E Tbilisi, Georgia), Which will be our official representative by the brand “ZNEN” in Georgia. OverviewIn January 20, 2019, ZNEN successfully signed distributing agreement with LTD "BRANO" ID:405220728 (ADDRESS: ANNA POLITKOVSKAIA STR. 10E Tbilisi, Georgia), Which will be our official representative by the brand “ZNEN” in Georgia. 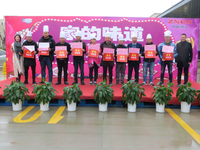 In order to widely popularize the knowledge of first-aid care in the factory and protect the lives of employees, Zhongneng Vehicle Group has recently conducted training for Red Cross first-aid nurses. No matter how far the road to the future is, the most lingering thing is the taste of the family. The new year is approaching. On this occasion, in order to create a platform for employees to share the “home taste”, at the same time, enrich the leisure life of employees, to promote communications between employees of Zhongneng Vehicle Group, enhance friendship and team cohesion, create a warm and peaceful New Year atmosphere, and build a harmonious and positive corporate culture, Zhongneng Vehicle Group held the first Zhongneng food sharing meeting. In order to further test the environmental emergency plan system, train the environmental emergency teams, run in and out of the environmental emergency mechanism, and improve the emergency response ability of employees to deal with environmental emergencies, ZNEN carried out emergency drills for environmental pollution emergencies. In the morning of December 29, 2018, Taizhou Environmental Protection Bureau (TEPA) and ZNEN organized emergency drills for environmental pollution emergencies. 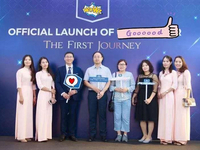 Dec 7, 2018Vietnamese customer of Zhongneng Vehicle Group held a grand new product launching conference, and Zhongneng Vehicle Group's retro scooter "Cruise" came on the stage. Zhongneng Vehicle Group Co., Ltd. relocated to Taizhou agglomeration area, Zhejiang Province, China. 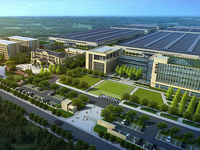 The factory covers more than 400 mu with a construction area of 240,000 square meters. 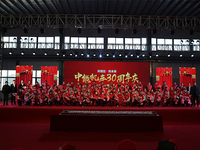 The 30th anniversary celebration of Zhongneng Vehicle Group Co., Ltd. was held solemnly. “Hands by hands, create the future”, We are grateful for having you all the way. 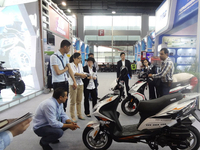 Zhongneng Vehicle Group Co., Ltd. participated in the 123rd Canton Fair, Address: Pavilion B 13.1E40-42, F05-07. 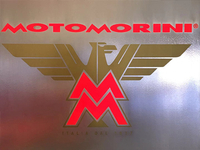 Zhongneng Vehicle Group Co., Ltd. has successfully acquired MOTO MORINI, an Italian motorcycle company for nearly one hundred years. Zhongneng Vehicle Group Co., Ltd. participated in the 124th Canton Fair, Address: Pavilion B 13.1E40-42, F05-07. 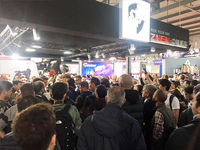 Zhongneng Vehicle Group Co., Ltd. exhibited at EICMA, Milan ,Italy: Hall 9 c74. 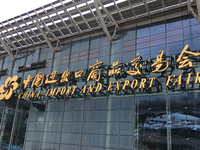 On 15th,April,the 115th Canton Fair was held as scheduled. 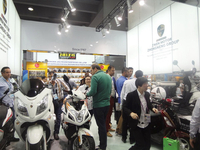 The leading brand of Chinese scooter—ZNEN, presented a series products---scooters, motors and e-scooters. 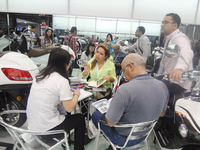 The exhibits express the concept of ultimate user experience, catching widespread concern, attracted a lot of International traders. ZNEN booth was the focus all the time during the fair. “Wonderful!” was heard from exhibitors who visited ZNEN booth. 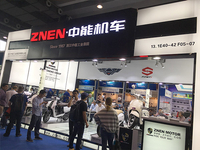 ZNEN Motor Group warmly welcome all customers to visit our booth, our booth number is 13.1E38-39;13.1F07-08. Let us meet there!!! 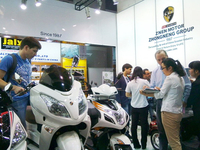 As the leader of scooter manufacturers, ZNEN pay much attention to adjusting the models with time and demands. From the exquisite REVIVAL series to elegant ZNEN Q series, world premiere LEGEND series, powerful ROAR and VISTA, mature A9\R8\F8\VES series, DBR\XT7\ FLASH2 motor series and the environment-friendly, energy saving good performance E-SCOOTER series. In January 11th 2014, ZNEN MOTOR GROUP hold one very big party, 2014 new year gala and 2013 year-end thanks giving dinner, over 800 staff and workers are all gathered here to celebrate 2014 New Year, and our boss express great thanks for all efforts by our staff and workers. We hope this gala can bring happiness to every body and wish everything goes well in 2014year.